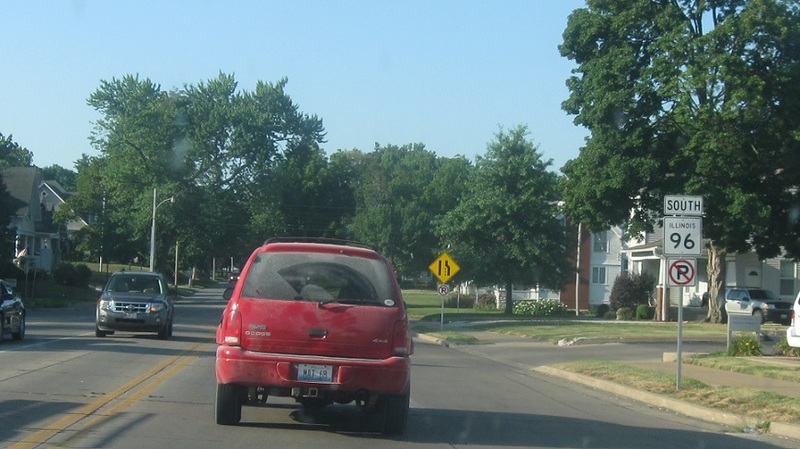 Reassurance shield after the Route 104 junction. 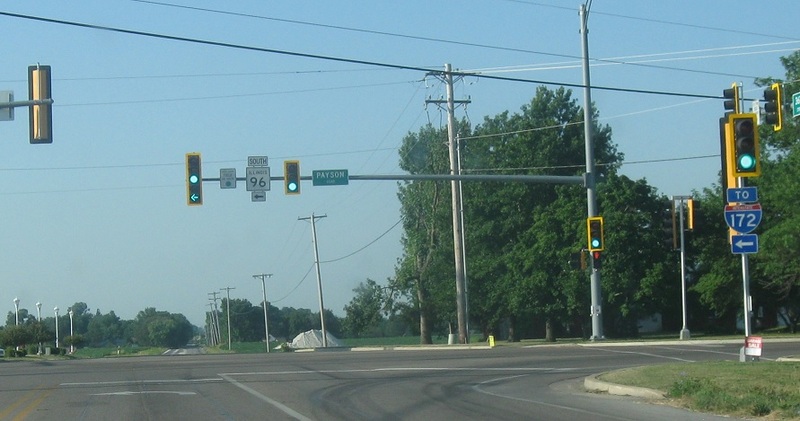 At the light, turn left for Route 96. Turn left for Route 96. 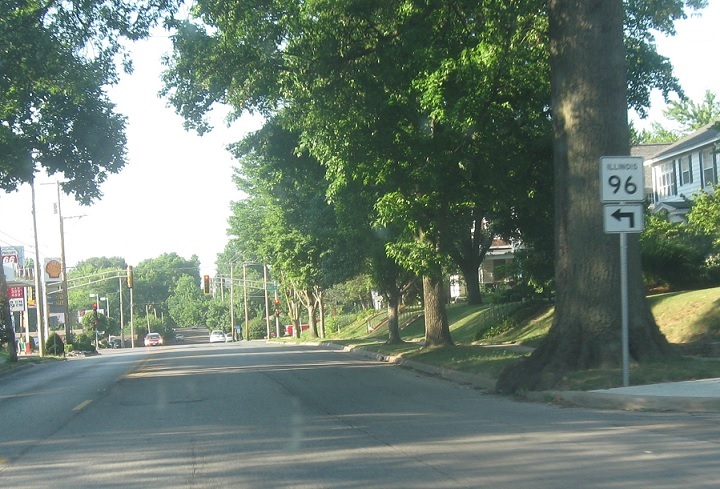 12 blocks later, 96 will turn south again. 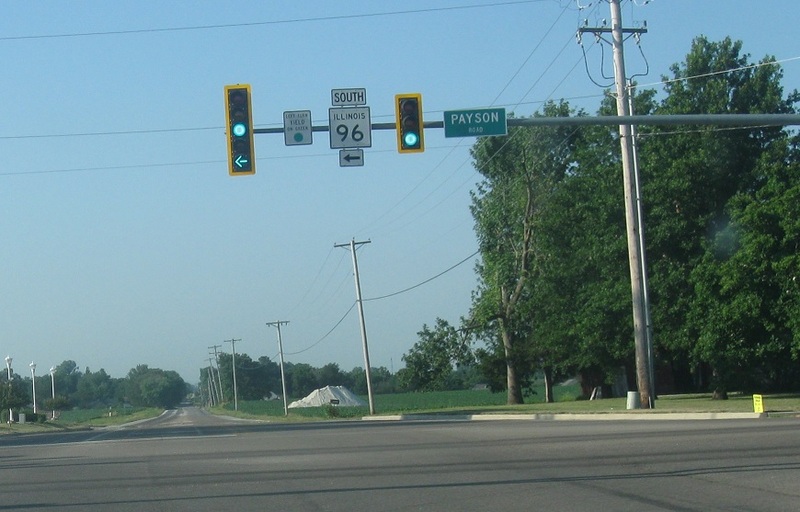 Turn right for 96 south. 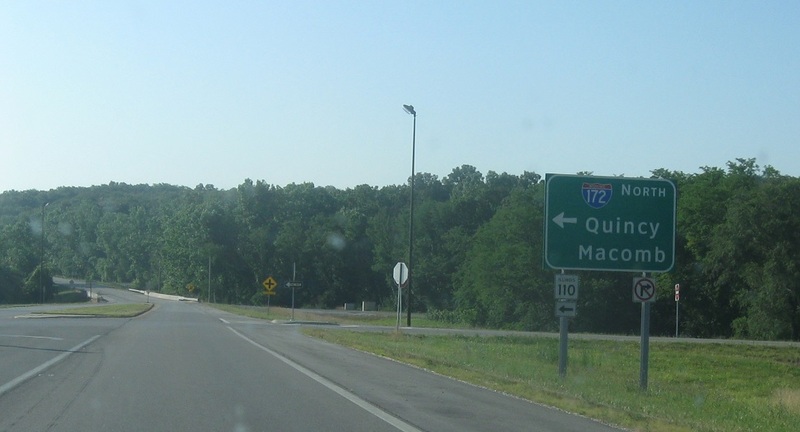 As we head out of Quincy, turn left for 96 again towards I-172. 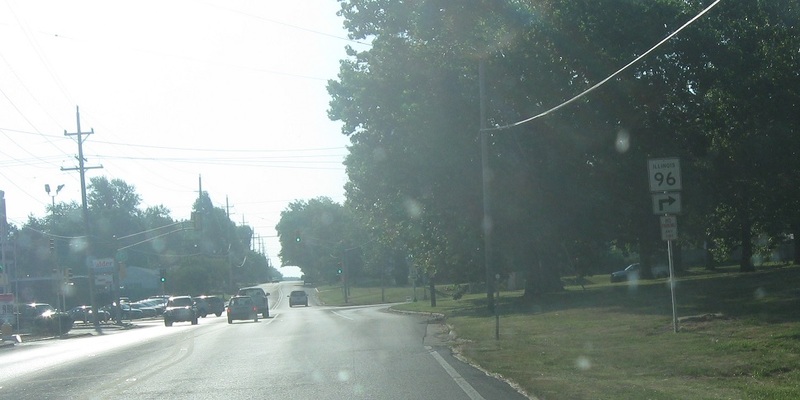 Turn left for 96 to I-172. 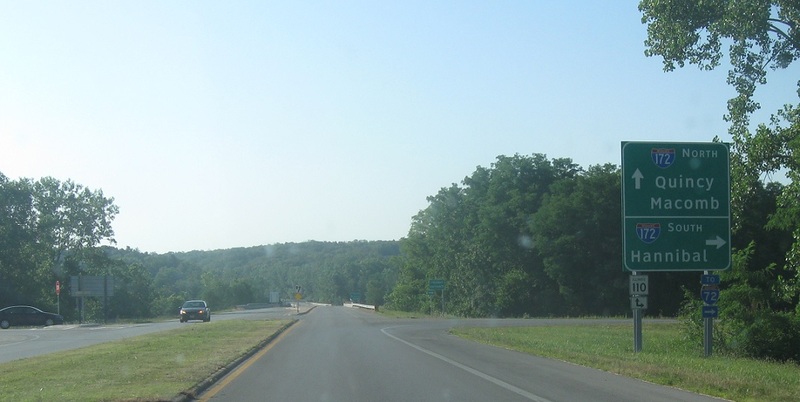 A couple miles later, we’ll approach Interstate 172. 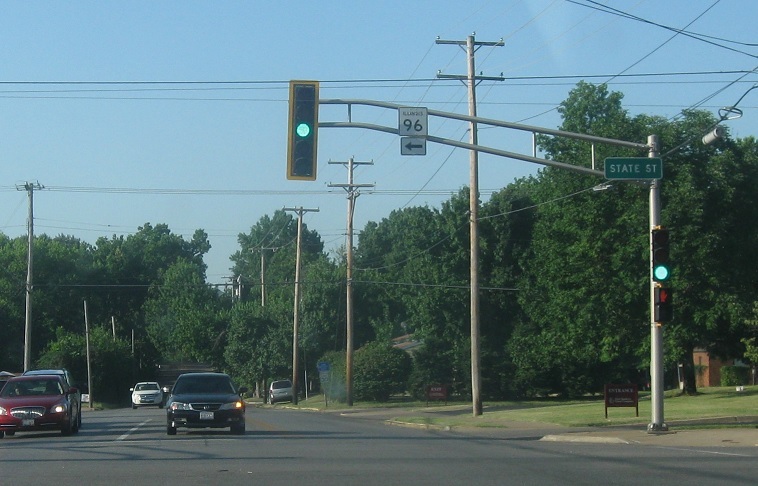 Turn right for I-172 south/Route 110 west to I-72. Turn left for 110 east/I-172 north.